Fort Ross is located on the Sonoma Coast 25 minutes north of Jenner on Highway 1. It has a rugged coastline, with a wreck of the S.S. Pomona, "Fort Ross" a historic coastal fort, miles of hiking trails and Fort Ross winery. The area is a great spot for history buffs, fishing, hiking, people who are looking to view wildlife and a winery for wine tasting. Wildlife: Fort Ross is host to harbor seals, Steller Sea Lions, and California Sea Lions. Fishing: When in season, visitors with valid fishing licenses can fish for rockfish from the shore and from kayaks. Scuba Diving: Certified scuba divers can explore the wreck of the S.S. Pomona, a ship that sank more than 100 years ago and now sits in approximately forty feet of water just off Fort Ross Cove. Diving for Red Abalone is open at certain places of the park's coast when in season. California Department of Fish and Wildlife regulates the abalone and other fisheries within the park. Hiking: Walk to the Fort Ross Cemetery, the Historic Orchid or walk across the San Andreas Fault. 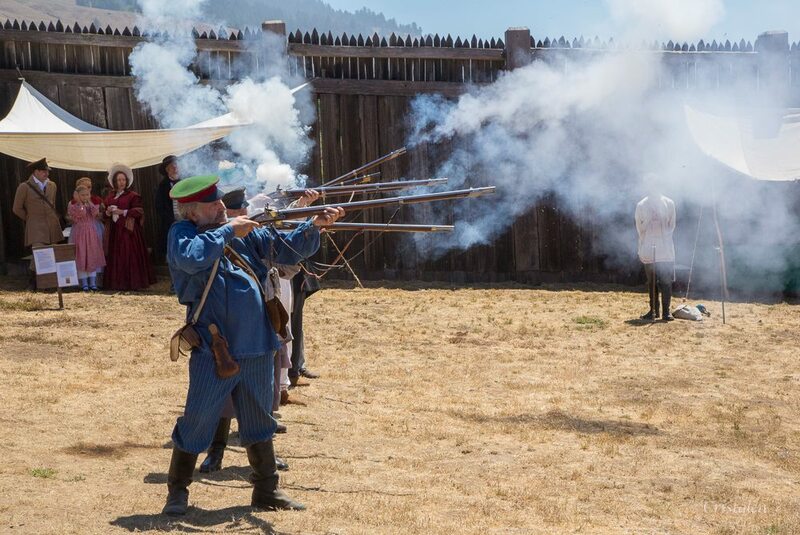 California State Parks and Fort Ross Conservancy are pleased to welcome you to Fort Ross Festival where we celebrate the wonderful diverse international flavors and cultures of Fort Ross. This year’s event will highlight the Kashia, Russian, Alaska Native, and California ranch era peoples who have called Fort Ross home over the centuries. We’ll offer costumed historical vignettes, hands-on crafts, horse and buggy rides, Russian bell ringing, music & dance from numerous cultures, an international food bazaar — and of course, the Fort Ross Beer Garden! SuNuNu Shinal Pomo Dance Group is hosting the third annual Metini Day at Fort Ross. This event is open to all, so come on out and help celebrate this special place. Details to follow. or just relaxing in the sun at this secluded cove just south of historic Fort Ross. State Historic Park at (707) 847-3286. Hiking Trails: Several interesting hiking trails are available. Your camp fee and/or day-use fee allow entry to Fort Ross State Historic Park, reachable by the bluff - top trail at the campground. Timber Cove Resort, less than 10 minutes north of Fort Ross. Fort Ross Lodge, less than 8 minutes north of Fort Ross. Sea Ranch Lodge, Sea Ranch, 45 minutes north of Fort Ross. Jenner Inn, Jenner, 25 minutes south of Fort Ross. River's End, Jenner, 25 minutes south of Fort Ross. The Blue Lotus of Jenner, Jenner, 25 minutes south of Fort Ross. Casa Panama, Jenner, 25 minutes south of Fort Ross. Sea Ranch Home Rentals, 45 minutes north of Fort Ross. Sea Ranch Escape, Sea Ranch, 45 minutes north of Fort Ross. Beach Sea Ranch Rentals, Sea Ranch, 45 minutes north of Fort Ross. Plantation Farm Camp offers a traditional summer camp experience on a real working farm. We work to create a fun and safe environment that encourages independence while nurturing lasting friendships. Established in 1952, Plantation Farm Camp is a traditional, coed, overnight camp for children ages 8 to 17. The Kashaya, the first people known to have lived in the area that is now Fort Ross, still live in this region. The local native people consider their name to be “People From the Top of the Land.” The name Kashaya, which means “expert gamblers,” was given to them by a neighboring Pomo group. Ross colony consisted of a multicultural, multiethnic community brought together by czarist Russia’s mercantile fur acquisition and trading enterprise, the Russian-American Company. At Ross, the community was divided into four ethnic residential areas. Upper level Russian management lived within the stockade. Ethnic Russians and Creoles (people who were the offspring of Russian/Native unions) of lower standing lived in a village of small houses with kitchen gardens. This village was located outside the stockade to the west. A Native Alaskan village of small wood or plank houses and possibly some semi-subterranean dwellings was located on the ocean bluff in front of the stockade. 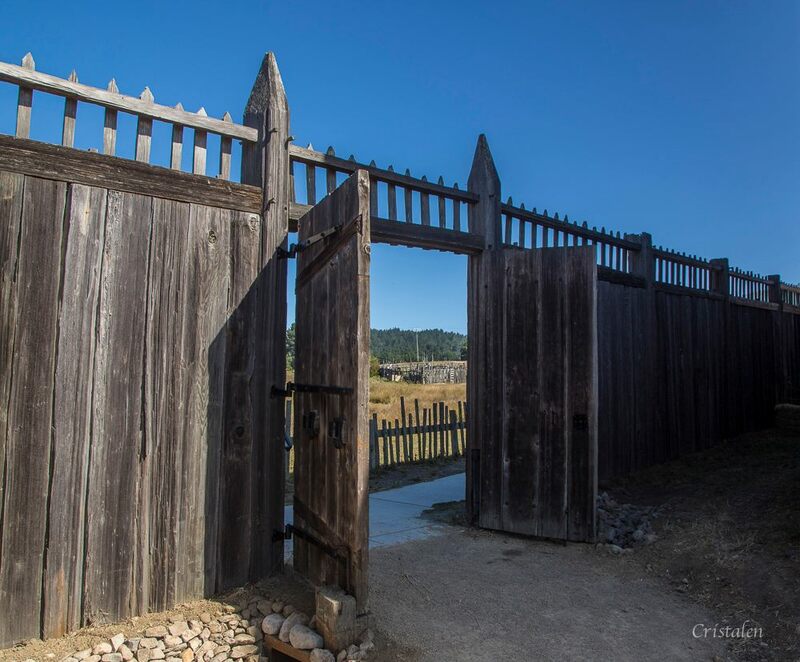 You may book a private tour, given in either English or Russian, by calling Fort Ross Conservancy at 707/847-3437 or emailing us at info@fortross.org.